Believing in God is unreasonable and unnecessary. Believing in God is unreasonable because prayer doesn’t work and miracles never happen. Very few people that I know claim that God has any actual, measurable effect on the physical world around us. When these claims are made, and God steps into the realm of natural science, then scientific inquiry can be applied to these claims. The result in these cases is always the same: there is no evidence that God exists. For this reason, the Gods of moderate religions live beyond the reach of any method of testing or science. This protects Gods from any claim of evidence that there is no God, and it also gives free reign to make any non-testable claim about God such as “God lives deep within all of us and guides us in ways we can never understand”. This is the type of God that I used to believe in. Humans have believed in a God that drags the Sun across the sky and a God that makes the wind blow. But none of these things need a God to explain them. Anyone proposing that they know something about a specific God, such as Vishnu, must not only provide evidence for that claim but also treat all similar evidence for other Gods similarly. For example, the evidence in support of a specific God is often that there is an old text that describes the God and that during prayer, dreams or meditation that God has revealed themselves to an individual or a group of people. In order for these reasons to be used to support the existence of a specific God it would need to be accompanied by reasons why the same type of evidence should not be used to support the existence of other Gods. Alternatively, this could be explained with Polytheism. However, Polytheism is not very tenable because many Gods claim to be the one and only supreme God making them incompatible with other such Gods. Also, Polytheism or “many faces of the same God” is often used as a hand waving explanation to just rationalize the existence of other religions, but allow people to continue worshiping their own God within the confined comfort zone of their own traditions. Polytheism is hypocritical when used as a reason to be Monotheist. The most reasonable understanding of religion is that it is an expression of human needs for structure, belonging and meaning in life. Ancient texts are a poor basis for understanding anything inside or outside of the physical universe. Even the deepest and most intense experiences of the supernatural are compatible with a biological explanation of the mind. Religion should be studied through psychology, sociology, neurology, biology and history but not through theology. Belief in God is unnecessary. There is no need to have a belief in a specific God to be moral. We know this because there are many different groups of moral people that all believe in different Gods. There is also no need to believe in any God at all to be moral. We know this because there are many people who are both godless and moral. Godless morality is very simple. Humans – and animals (often to a lesser extent) – are moral agents. Moral agents deserve and owe each other respect and consideration. The consequences of our actions and inactions on others can be observed and thus we can judge our actions by their likely impacts. The basis of this morality is a human decision that we should be moral and that the experience of other people matters to us. This is a sufficient basis to develop a thorough and compassionate morality. We do not need to invoke any Gods into our morality in order to live in thriving and ethical communities in our modern society. There is no reason to be moral other than our own human reasoning. The term that best describes my thinking about morality and meaning in life is Secular Humanism (sometimes shortened to just capital ‘H’ Humanism). Many religious people use a basis for morality that is very similar to the one that I described, but with some added emphasis from a deity. In practice, I find that my moral thinking is mostly similar to that of religious people. There is also much similarity between the moral thinking between different religions (even more so when looking only at modern, moderate religions). In everyday life and in my relationships with friends and family I prefer to stay mostly focussed on what we have in common. This is because (1) we agree on most things and (2) we agree on the most important things (do: respect others, don’t: murder and steal, etc). However, during conversations with interested people over coffee or beer the conversation is usually most fruitful when discussing differences of opinion. When asked about my religion or worldview I’ll usually say that I’m an Atheist and a Secular Humanist. Saying that I’m an Atheist is an extremely simple statement. It only says I have no belief in God(s), but nothing else. This is also why people rarely describe themselves as just being Theists. The religious usually identify themselves more specifically and say that they are a member of the Bektashi Order, a Hasidic Jew or a Neo-Calvinist. Similarly, I identify myself as a Secular Humanist. However, it’s important for me to also say that I am an Atheist. Because even though it is a very simple statement that communicates very little information, it is also extremely clear and generally well understood by most people. It quickly conveys that I’m not religious and have no belief in supernatural beings. This is important because the term Secular Humanist is less clear, and not used as commonly. 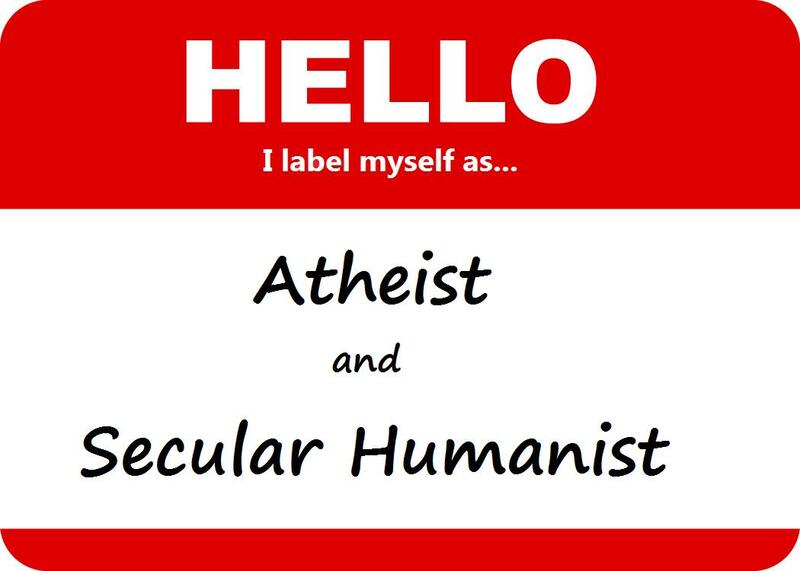 Without opening my identity with ‘Atheist’, it tends to suggest that Secular Humanism is a religion or that I am some type of religious humanist. Obviously, if someone thinks that being an Atheist means that I worship the Devil and draw pentagrams on my floors then they are bringing a lot of baggage and misconceptions with them. The best way to counteract misconceptions is to just use words accurately, consistently and honestly. With both of the labels that I use for myself, I strongly identify with the meaning that is attributed to the words (there are no gods and humans should give meaning to their own lives), but I’m not necessarily committed to the use of the specific words (Atheism and Secular Humanism). Attempts to organize the godless community are aptly compared to herding cats. There are many different groups, movements and labels that are constantly being invented and reinvented. In fact, I’m probably contributing to this constant flux of semantics with this blog post. I’m sure someone feels that I’ve improperly defined or used certain words, thus (rightly or wrongly) I’ve contributed in an extremely tiny way to changing their meaning. Since labels, categories and names are part of communication we shouldn’t be afraid of using them. We should just understand their uses and limitations. After years of having a religious label that really did not work for me, I’m happy to now write my own ‘worldview’ name tag.